NorVA membership costs $360.00 per year for full Resident Membership. At $30.00 per month a Resident Artist receives a table and space in the centre to work, hanging space on the gallery walls, website presence, and special rates on enrichment classes offered by the centre. A NorVA resident artist member helps support the cooperative nature of the centre, not just financially but with volunteer involvement. Associate artist memberships are also available and NorVa Community volunteers keep the centre running full tilt. The centre offers many opportunities for volunteer activities. NorVA has a board of directors, and committees that fundraise, write grants and organize programming. Many hands make light work and the potential for learning is huge. Our famous Square Foot Auction is a successful fundraiser for the centre and volunteer help is always so very welcome. 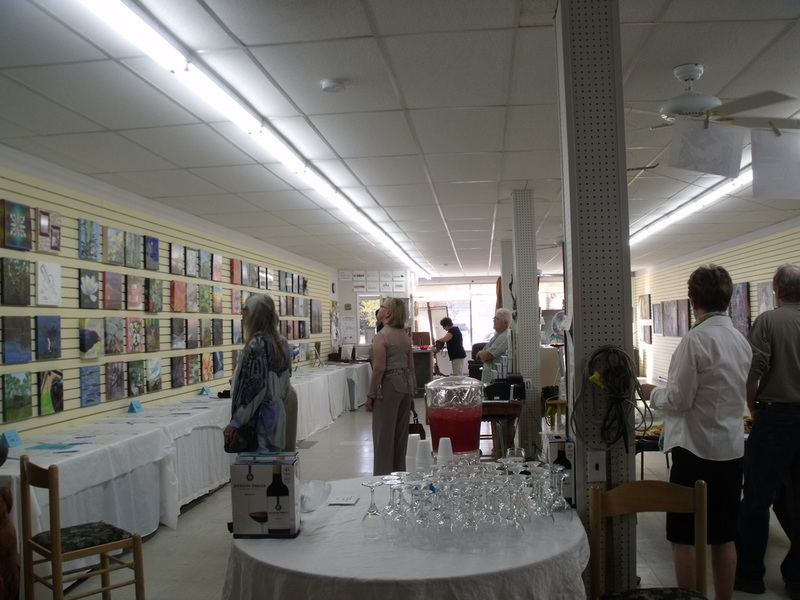 New and emerging artists are given the opportunity to show there work in a friendly atmosphere. Artists will sell one another's work for each other at the centre. This offers an outlet for artists who are just starting out as it is a low key sales environment​. A 20% commission goes to the Centre's operating funds from art sales. ​Small groups of artists band together for small group shows. For individual artists the centre is an excellent venue for a first time and artist talk. Outreach activities involving many different groups. The Personal Care Home receive organized arts visits from NorVA artist volunteers on a monthly basis in 2016. Pre school groups, school groups, Sparks and Brownies visit for Arts Gallery activities. Volunteers from the centre help make these visits possible. Sketch Club and Water Colour Group are free of charge and both meet twice a month on Thursdays. Contact Matthew Enns and Jan Modler for information. Classes for young and old are offered frequently for the community through the NorVA centre. Costs are subsidized and scholarships are offered to referred individuals. Artist mentorships are made available every two years. Reaching for excellence in your chosen artistic media is possible at the centre, surrounded by like minded individuals.